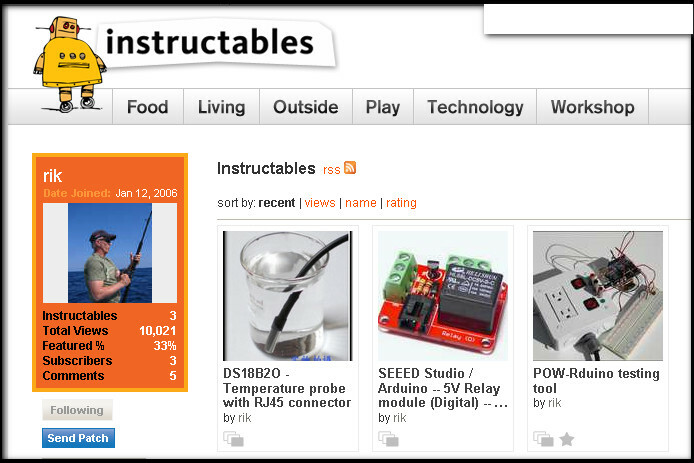 Posted by rik94566 in agponics.com, aquaponics, asparagus, DIY aquaponics, Yield Results. I wanted to try a new crop this year. So I did some research for my area and picked a crop that I had some interest in for quite some time, but had no idea how to grow it. Then to try and grow it using aquaponic method is really out there as a concept. Doing a internet search there is very little to no information on the subject of growing asparagus in an aquaponics system. So here we go with my first attempt at growing Asparagus in my 100 gallon unit. I placed an order for my starts in early October so I was assured of getting my plant material by Mid-January. I had no idea of what the weather would be like in Mid-January, but I took my changes on getting the starts. There was a chance that if I ordered to close to the actual shipping time from the company I would not get the plant starts I needed to launch this new growing adventure, as the company does run out of asparagus early in the season. The next big issue was how should I plant them in my grow beds. 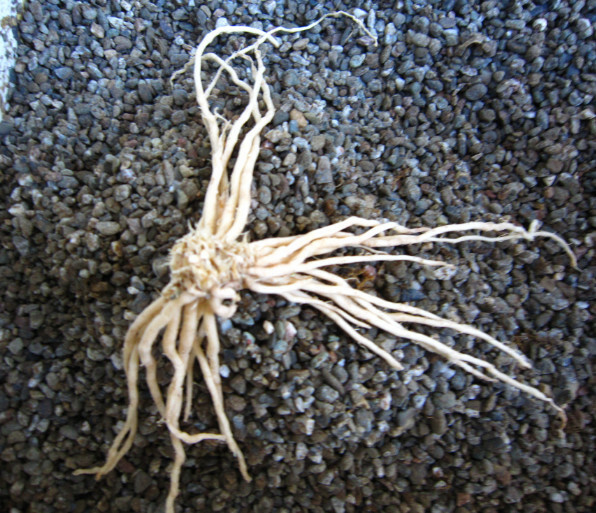 I learned that asparagus is planted 12 to 15 inches below ground in late January to early spring, so my timing was good but needed to empty my aquatubes to be enough depth for the starts. 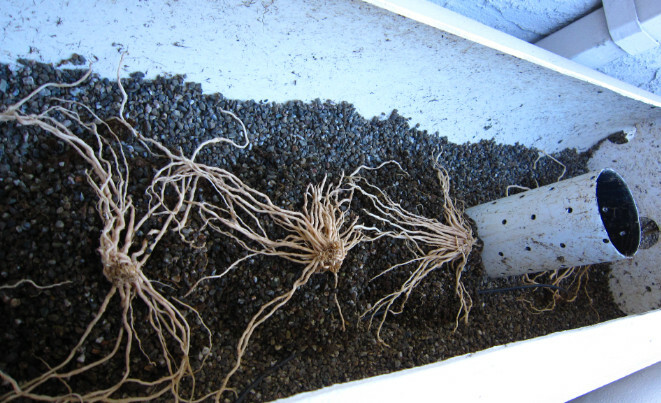 Once the grow tubes were empty I covered the bottom of the grow bed with enough gravel to make sure the starts would not be sitting in standing water when the grow beds drain after each watering cycle. This is because to fully drain out of my grow beds there is always some water that sits at the bottom of the grow beds and will drain out over longer period of time. Once I had all my starts place in the grow beds I covered them in gravel up to the crowns. Then I put a very thin layer of gravel over the crowns. 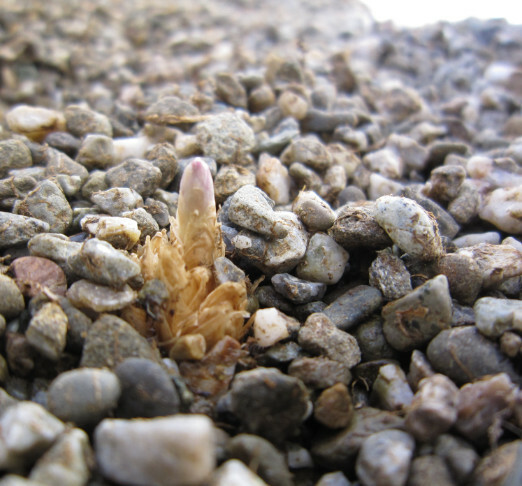 In my research I found that when planting asparagus – you place the starts and cover them lightly and once they start and throw shoots you cover them a little bit, just enough to support the sprouts until they reach ground level or in my case the top of my gravel beds. Next was to give them some water so I could bring the starts out of dormancy. I did not want to over water them and cause disease problems so I watered them once ever other day. Temperatures had been down in the low 30’s with day time temps only getting up high 40’s. After one week I had my first shoots. 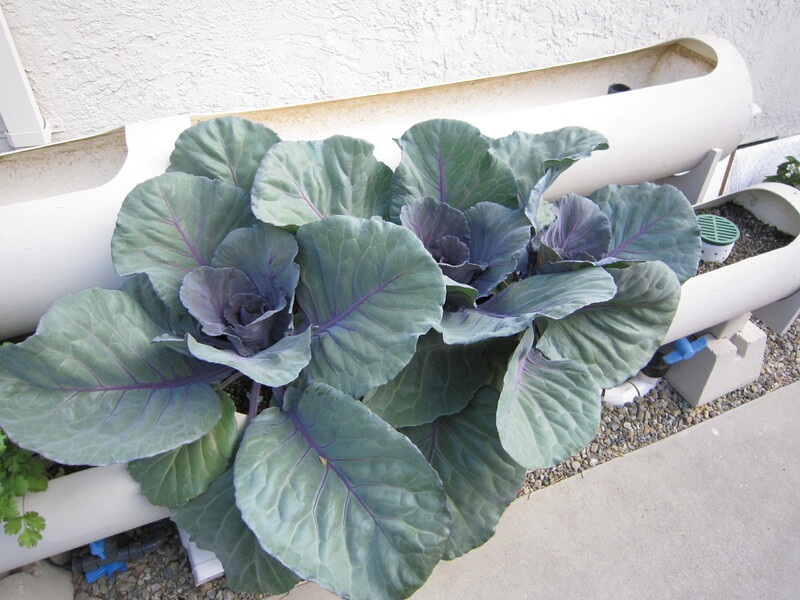 Posted by rik94566 in aquaponic automation, aquaponics, Crop, DIY aquaponics, Red Cabbage, Yield Results. 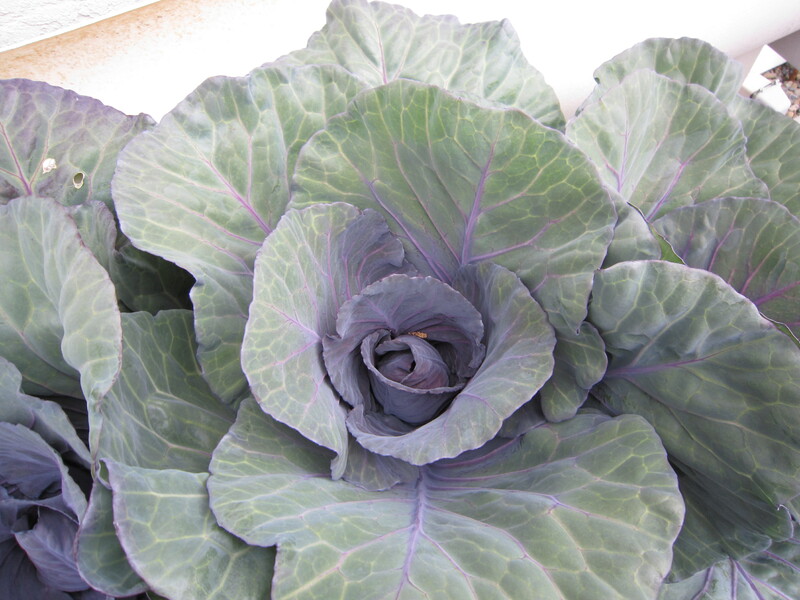 my first attempt at growing red cabbage in my current working unit. I only have one tube functional at the this time, as I am working on a redesign of my upper tube to incorporate my work on the temp probes and media probes for the next step in my Smart Tube automation. The leaves on my plants are huge!! White square is 1" X 1"
Here is my growth at 9 week mark heads are starting to form. 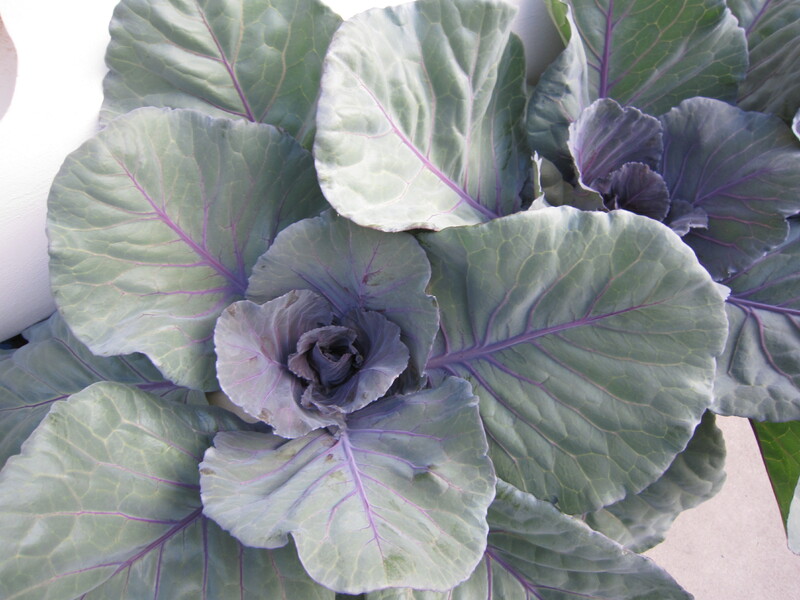 I am weeks away from “RED CABBAGE” coleslaw. 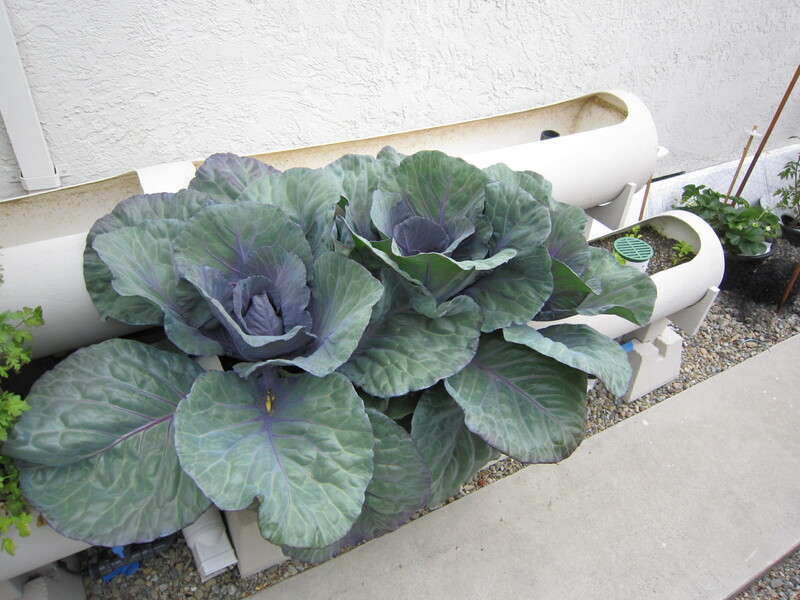 To give some idea of how big these things are, the back tube is 15″ in diameter and tube growing the cabbage is 12″ PVC pipe. 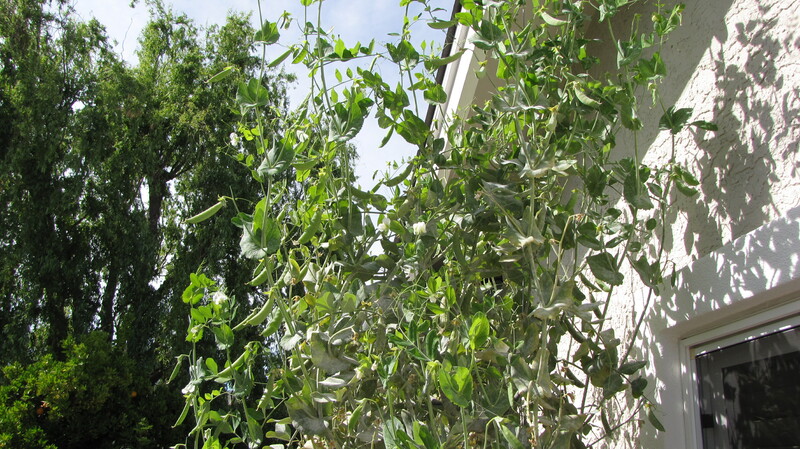 Posted by rik94566 in aquaponics, Crop, Sugar Peas, Yield Results. 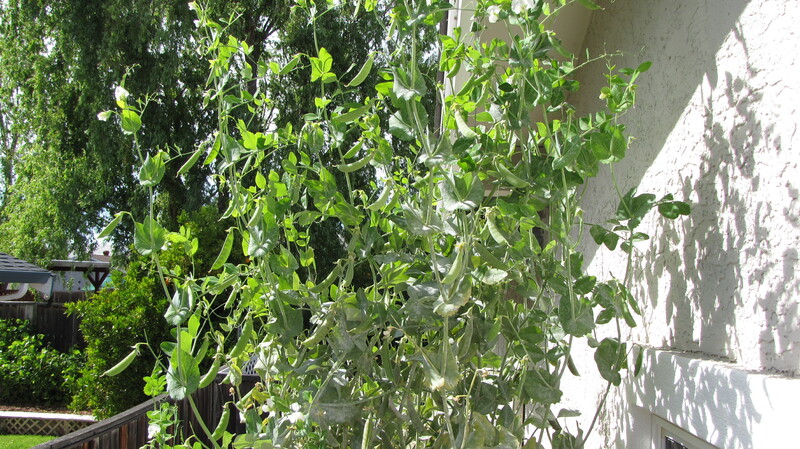 Edible-Pod Pea Production in California. 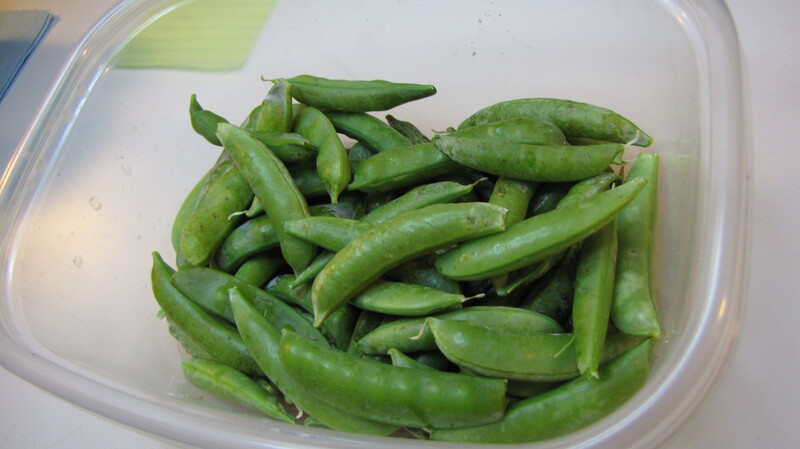 I learned from this publication that average Edible-Pod Peas get 25,000 plants per acre with 2.6 tons (5200 pounds) of edible pods. I visited Whole Foods and determined the market price for edible pods was $5.00 per pound or equal to $26,000.00 per acre. 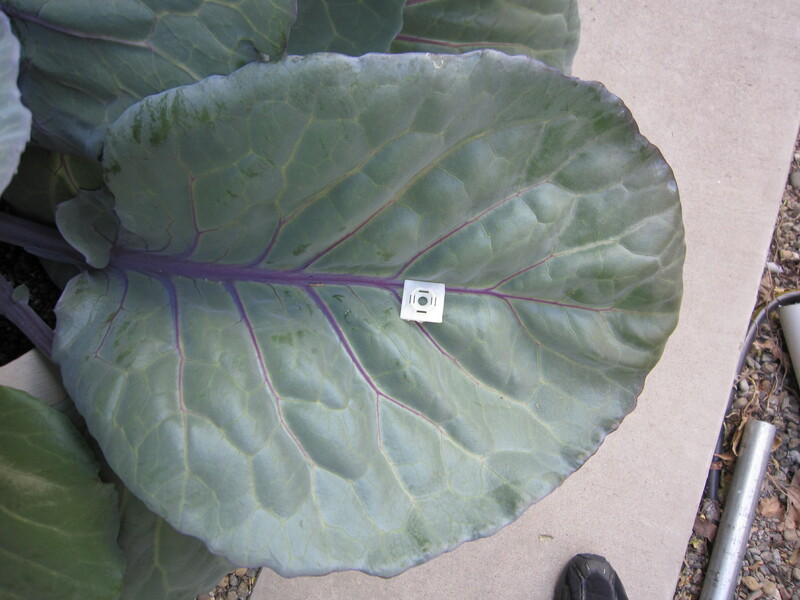 On a per square foot figure this works out to be .5 plants and $0.59 per square foot. Now that I have a starting point on average production figures I can work out how my yield per square foot matched up with California average yield. Taking my 5 pounds of production in 3.5 square feet I produced 1.42 pounds per square feet. My number of plants per square feet was 8. Before I work out the comparison of my yield and the average production per acre it would be good to view the growth I got from my plants. 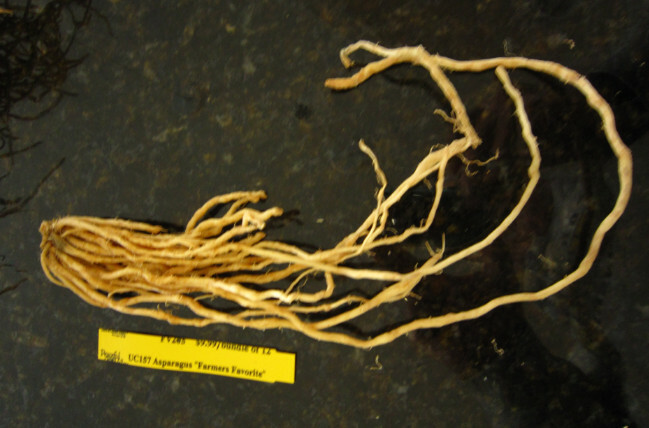 The variety I grew was listed to grow 60 to 72 inches. 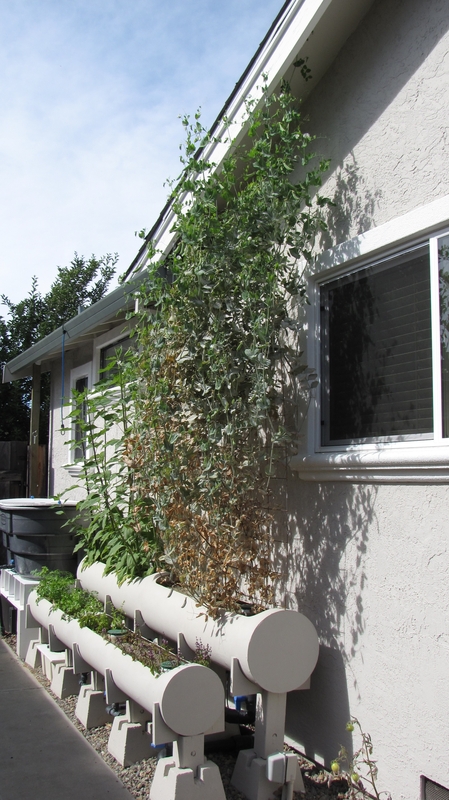 I got 108 inches (9 feet) would have been more, but a late season rain storm can through Northern California in late May and broke the top growth off 5 of my plants. Production in my 3.5 square feet of grow area would have been much greater had I had my upper level of the sugar peas tied back. A lesson learned and I will make sure to keep up with the growth. 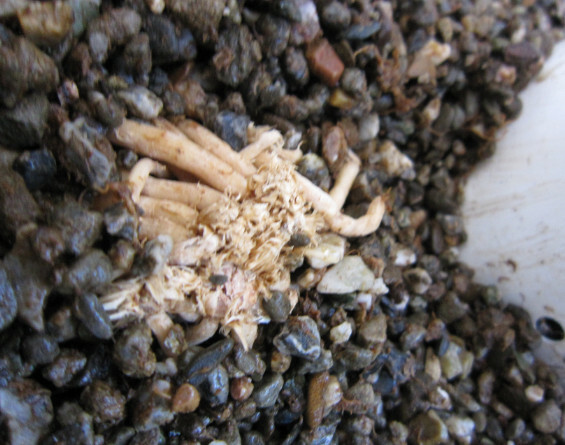 The gross value is determined by using a $5.00 per pound price found at Whole Foods in San Ramon, California.